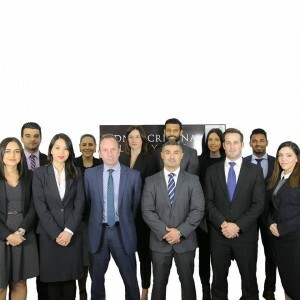 Posted January 28, 2019 by Sydney Criminal Lawyers & filed under Drug Law, NSW Courts. On 10 November 2016, street-level drug dealer Hayden O’Neill introduced his drug supplier Michael O’Neile to a man who was interested in buying some methamphetamine. Unbeknownst to both dealers, the interested buyer was an undercover police operative. Mr O’Neile supplied the police officer with 13.88 grams of ice with a purity of 82.5 percent at a cost of $4,200. The seller told the operative that he could supply ounces of the drug at a cheaper price in the future. The officer attended O’Neile’s home on 29 November and purchased 55.6 grams of methamphetamine for $12,000. The dealer told the officer that if he continued to buy from him, he would get an even better rate. On 9 December, he sold a further 10.36 grams of the drug for $2,500. On 17 December, the operative bought a further 195.74 grams of methamphetamine for $40,000. On that occasion, O’Neile told the officer that he’d arrived home at 5am that morning, after returning from Sydney with “16 ounces of methamphetamine straight from the cook”. On one occasion, the undercover operative purchased 382.3 grams of cannabis from Mr O’Neile for $3,700. Mr O’Neile pleaded guilty to three drug offences on 7 September 2017. He appeared in Armidale District Court before Judge Jeffery McLennan on 19 October for sentencing. The first crime O’Neile pled guilty to was one count of ongoing supply of methamphetamine, contrary to section 25A of the Drug Misuse and Trafficking Act 1985 (DMT Act). This offence involves supplying a prohibited drug other than cannabis for financial or material gain at least three times within 30 days. The maximum penalty for ongoing supply is 20 years imprisonment and/or a fine of $385,000. The second offence was knowingly taking part in the supply of an indictable amount of methamphetamine, contrary to section 25(1) of the DMT Act. This offence carries up to 15 years behind bars and/or a fine of $22,000. The third count was the supply of a traffickable amount of cannabis, contrary to section 25(1) of the DMT Act. As this offence dealt with cannabis and it was heard in the District Court, the maximum penalty that applied was 10 years gaol time and/or a fine of $22,000. Judge McLennan imposed a sentence of 7 years and 6 months imprisonment, with a non-parole period of 5 years. The sentence reflected a 25 percent discount for the utilitarian value of his early plea of guilty. The indicative sentences for each offence were 6 years for ongoing supply, 18 months for methamphetamine supply and 2 years imprisonment for supplying cannabis. Mr O’Neill and another street level dealer, Joshua O’Neile, were sentenced at the same time.  Mr O’Neile appealed his sentence to the NSW Court of Criminal Appeal (NSWCCA) on 12 October last year on three grounds. The third ground was that the sentencing judge applied the incorrect maximum penalty for the cannabis offence. NSWCCA Justice Michael Walton explained that after Judge McLennan referred to the maximum penalty for the methamphetamine supply charge as 15 years, he went on to say that the cannabis supply charge “is an offence that also carries a maximum penalty of 15 years”. His Honour further stated that he accepted the Crown’s assertion that as the indicative sentence for the ongoing supply conviction was 6 years, the sentences for the other two supply charges resulted in the head sentence being increased by 18 months. As this ground was made out, his Honour explained that the other two grounds, which related to parity in sentencing and whether the sentence was manifestly excessive, no longer needed to be considered. Justice Walton noted that O’Neile had been involved in trafficking high purity methamphetamine at “escalating and significant quantities”. The offender had also transported the drugs in order to subsequently sell them for “significant financial reward”. His Honour agreed that “mid-level dealer” was the best description for the offender. And although his ongoing supply conviction was serious, it involved only a few transactions, which were carried out at his home in an unsophisticated manner. The ongoing supply and methamphetamine supply offences were mid-range, his Honour found. And the cannabis supply charge was just below mid-range, as it reflected O’Neile’s ability “to readily source different kinds of drugs due to his involvement in the drug world”. According to Justice Walton, the offender’s life could not be described as “unremarkable”. He grew up in impoverished circumstances that involved domestic violence. He began drinking and taking drugs at a young age. A psychiatric evaluation found that O’Neile had a substance use disorder, as well as a gambling problem. The significant amounts of ice he was using at the time of his arrest meant that he was not living an “extravagant lifestyle” as a result of the dealing. His Honour agreed with the sentencing judge regarding O’Neile’s good prospects for rehabilitation and the likelihood he would not reoffend. He also agreed that special circumstances should be found as he would benefit from a longer period on parole due to his drug use issues. Section 44 of the Crimes (Sentencing Procedure) Act 1999, requires that a parole period mustn’t exceed one-third of the period spent behind bars, unless special circumstances are apparent, in which case the time spent in custody can be shorter to allow for a longer time spent on parole. On 14 December last year, Justice Walton ordered that the appeal be allowed and the sentence of the District Court be quashed. And he resentenced O’Neile to 6 years and 9 months imprisonment, with a non-parole period of 4 years and 4 months. NSWCCA Acting Justice Carolyn Simpson and Justice Helen Wilson agreed with these orders.